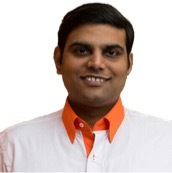 Phani Bhushan is an experienced Devops coach and trainer helping organizations to make the transition to agile way of working and roll out continuous delivery at enterprise level. He is the first Professional Scrum Trainer from India. He is also an expert in eXtreme Programming like TDD, BDD, Pair Programming, Automated deployment and Agile Testing. He is also a trainer from DevOps institute and Microsoft. He is also a regular guest speaker at various Agile conferences like Scrum Bangalore (a quarterly open event conducted for Agile enthusiasts) and Agile-X 2011-‘The First Annual Executive Agile Conference.